(Honolulu) – The Department of Land and Natural Resources, Island Conservation, and other Lehua Island Restoration Project partners became aware of social media posts, photos and video that show dead fish or birds that posters claim were killed by a rodenticide currently being used to eradicate non-native, damaging (invasive) rats from the island. However unlikely the connection, the project partners take any potential risks to non-target species and marine life, extremely seriously. As such the partners deployed on-island monitoring teams, which include both project staff and independent monitors from the US Department of Agriculture (USDA), to where a video was reportedly taken…the north/crater side of Lehua Island. The monitoring team has confirmed and collected 45 dead fish which appear to be mullets and two dead birds which appear to be juvenile Brown boobies. The samples do not show any immediate evidence of impact from diphacinone, the rodenticide used in the operation. Mortalities of fish and seabirds occur regularly, and there a many other plausible causes for these deaths. Mortality among wild fish and bird populations is common so a correlation does not demonstrate causation. The samples are under USDA chain-of-custody and will be processed to determine likely cause of death or presence of diphacinone. Partners are seeking an expedited assessment. From the beginning of the operation last month, these teams have been monitoring the very steep and rugged part of the island from a safe distance using binoculars from high vantage points that can be safely reach on foot. At first light on Wednesday, a DLNR Division of Boating and Ocean Recreation (DOBOR) vessel will depart from Kauai with biologists from the DLNR Division of Aquatic Resources (DAR) and other monitoring team members to get a closer look at the crater-side of Lehua. If any dead birds or fish are found, samples will be collected and sent to a laboratory for testing. Monitoring teams have been on island throughout the entire operation and make daily trips to the accessible nearshore marine environment and tide pools on the south side of the island. There have been no observations of dead fish, birds, or other non-target species during these checks. As with any project of this nature, there are some inherent short-term risks, and Federal and State permits and regulations acknowledge that a negligible amount of bait will reach the marine waters. 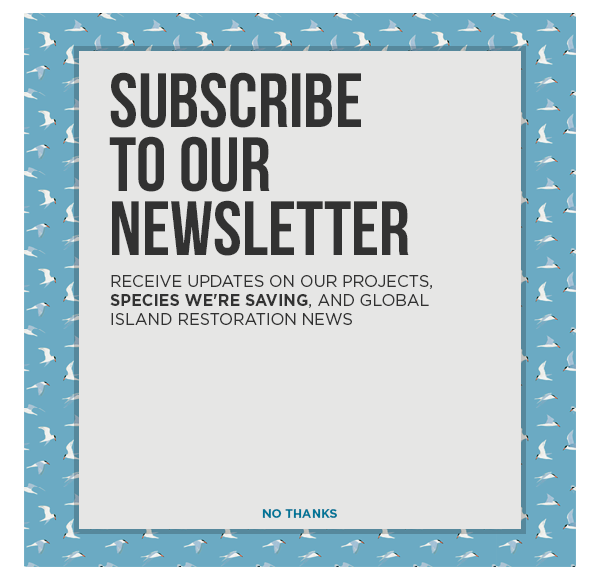 Project proponents have pursued this project only because they are convinced the small potential for short lived risks to non-targets species is far outweighed by the long-term conservation benefits of an invasive rat free Lehua Island. All verifiable data and information will inform the project as it proceeds or adapts as warranted. Any additional information and data will be released to the media and public as soon as it becomes available. Lab studies have shown that fish reject bait containing diphacinone, the approved rodenticide being used in the restoration project. Furthermore, fish are among the least likely animals to be affected by the rodenticide. What little bait drifts into water from the over-land application sinks to the sea floor and degrades quickly. Diphacinone, being almost insoluble, scarcely dissolves in water and thus most remains in bait pellet fragments on the sea bottom. Diphacinone breaks down quickly in water when exposed to ultraviolet light (e.g. sunlight) — a likely fate for some drifted bait. Eventually, the rodenticide decomposes into carbon dioxide and water and intermediate compounds in its decomposition process are non-toxic. In hundreds of similar projects, no documented impacts to marine mammals or corals have been documented, and invertebrates are not affected at all as they do not metabolize diphacinone. Thus, regulators concluded that marine life will have little to no exposure to the negligible amount of rodenticide that drifts into the water. A third and final additional applications of rodenticide is planned in the next few weeks depending on weather conditions.